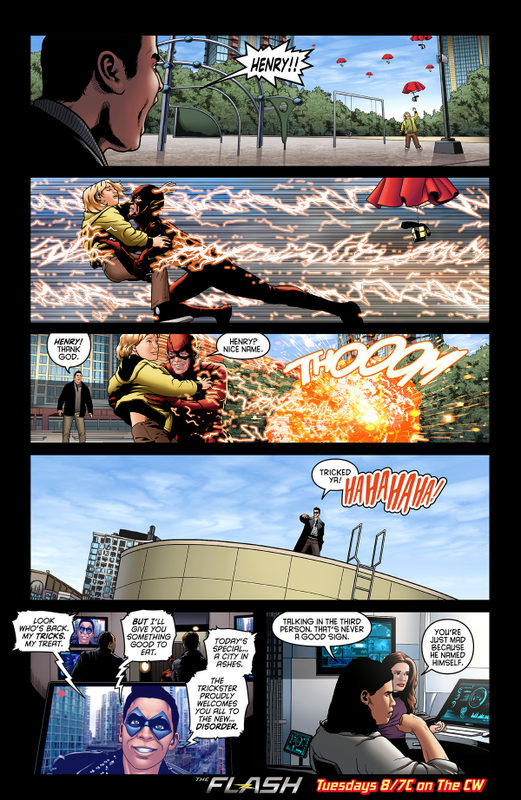 The Flash - Episode 1.17 - Tricksters - Comic prévisualiser. . HD Wallpaper and background images in the The Flash (CW) club tagged: photo cw the flash season 1 1.17 tricksters comic preview. 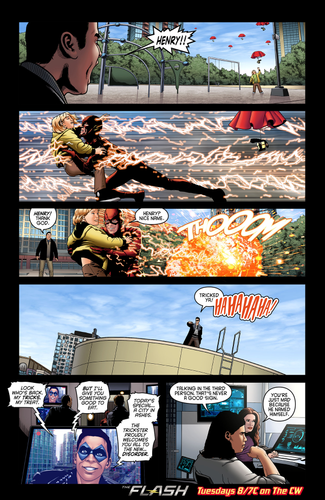 This The Flash (CW) photo contains anime, bande dessinée, manga, and dessin animé. There might also be vitrail, signe, affiche, texte, tableau noir, tableau, and affiches.